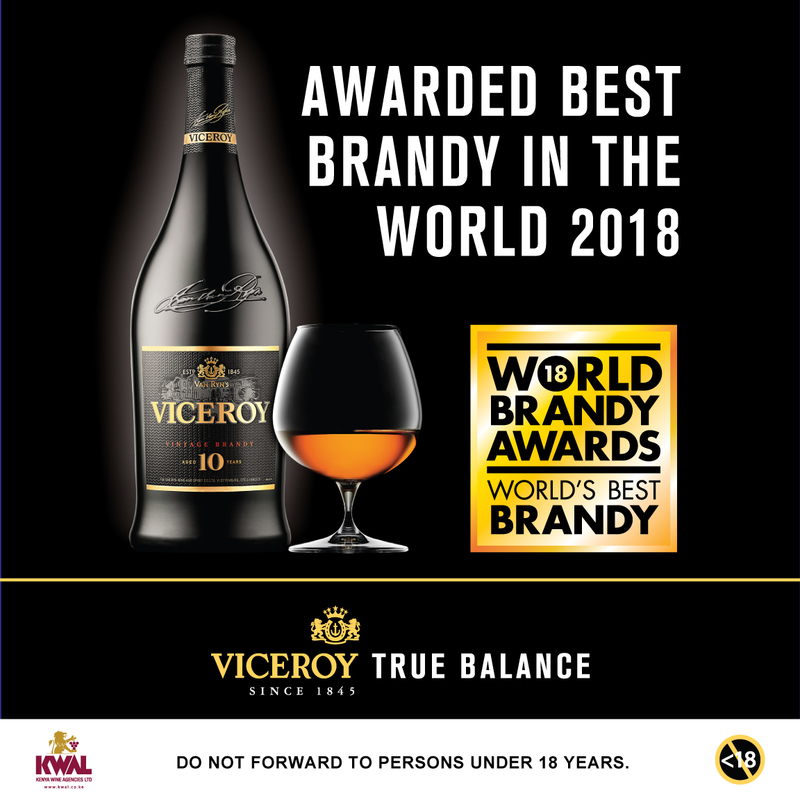 Viceroy 10 year old vintage brandy, was awarded as the world’s best brandy at the 2018 World Brandy Awards announced in London. A true testimony of the multi-awarded winning House of Van Ryn’s where the brandy is usually crafted, it beat fierce competition from leading South African brandies and those from countries such as United Kingdom, Germany, Spain and the United States. Viceroy 10 was launched last year in Kenya targeting the country’s sophisticated and premium market. Brandy Master Wallies Uys of Van Ryn’s Distillery noted that the award underpins the outstanding quality of the brandy that has been praised for its exceptional smooth character and velvety finish. “Viceroy 10 will create a new trend of drinking brandy for the discerning adult drinkers. It is packaged in an attractive bottle with an engraved signature which is the hallmark of quality and authenticity of the product. After the launch event last year, we coordinated countrywide activations to take the premium brandy experience to the consumers. The Best in the world, and proudly enjoyed in Kenya. ” Stated Lina Githuka KWAL Commercial Director. The vintage brandy is expected to grow KWAL’s market share in the premium drinks category with an ambition to be the dominant player in the premium brandy category. The recommended retail price for the brandy is 3,000 Ksh.